Saunders Landscape Supply sells high-quality landscaping supplies such as topsoil, mulch, gravel, stone, sand and firewood. Most importantly, you can order online or by phone for FREE delivery of landscaping supplies right to your driveway, often on the same day! Check out our organic topsoil and compost, playground and colored mulch, river wash and pea gravels, crushed and recycled concrete, white sand, seasoned firewood, and much more. 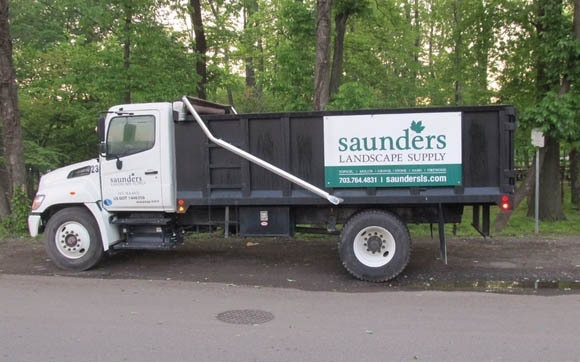 Saunders has been proudly offering landscaping supplies for bulk delivery since 1994. We deliver to Northern Virginia and Maryland for FREE! All our products are hand-selected and quality-guaranteed! Check out our full slate of products and pricing. 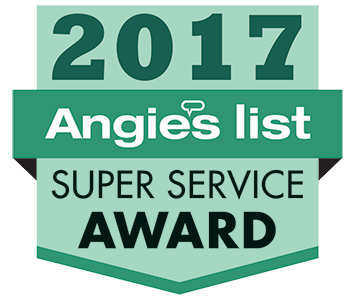 The Community has spoken, and for the 7th year in a row Saunders Landscape Supply has proudly accepted the Angie’s list Super Service Award for Mulch, Topsoil, Stone and Gravel. Thank you for allowing us to serve all of your landscaping needs in 2017. We look forward to helping you complete your 2018 Landscaping To-Do list. Helping Homeowners look likes Pros since 1994! 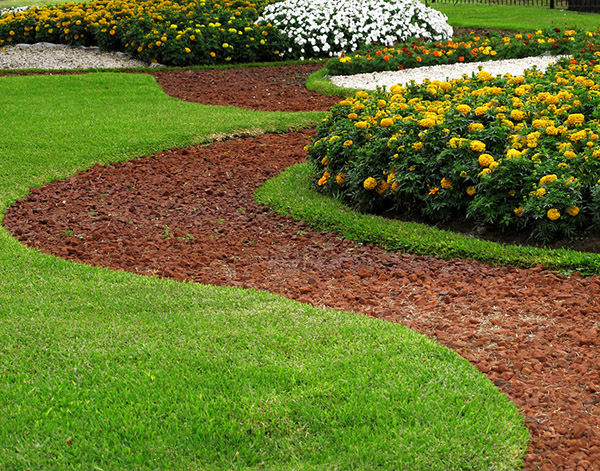 Saunders does much more than sell high-quality landscaping supplies at incredible prices. We also offer FREE delivery right to your home. Our logistics experts command a fleet of trucks running at maximum efficiency. We get you the landscaping supplies you need, FAST. Those efficiencies save us on transportation costs, and we pass those savings on to you! You won’t believe how easy our delivery process is. Mark an X on your driveway, and we will drop off your mulch, topsoil, gravel, sand or firewood. It’s that simple! None of our deliveries need anyone to be home to receive them. And we deliver QUICKLY! You will likely have your delivery the next day. (Season and product availability prohibiting.) Sometimes we can even deliver the same day as your order! In Maryland, we deliver landscaping supplies to Montgomery County, Prince George’s County, Anne Arundel County, Charles County, Howard County and Queen Anne’s County. In Virginia, we deliver landscaping materials to Arlington County, Fairfax County, Loudon County, Prince William County and Fauquier County. Once again Don Saunders is registered to ride for MS in the Chesapeake Challenge May 31st – June 1. Last year this chapter raised $405,240 that will fund research into the cause, cure and treatment of MS.
Our mulch revitalizes your plants and makes your landscape look spectacular because it suppresses weed growth, conditions soil, holds in moisture and eases soil compaction. There isn’t much mulch can’t do! Plus, we’ll deliver it to your home for FREE. 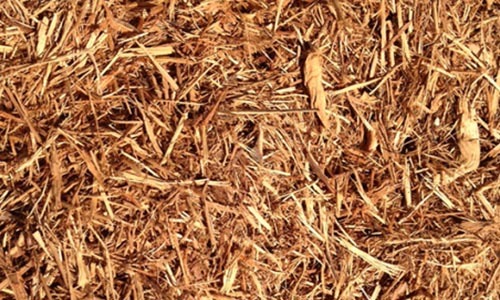 Additionally, our double-shredded hardwood mulch will protect your garden as it feeds it because it decomposes into plant nutrients while it thwarts weeds. If you want to give your garden a fresh look, we sell color-enhanced mulches that make a garden stand out. Our red, brown and black mulches do not fade, meaning you can keep the landscape look you want for entire seasons. Another option is leaf mulch. 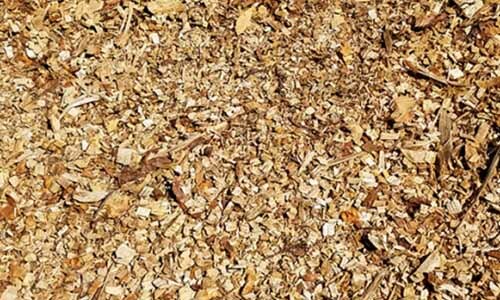 Our leaf mulch is a beautiful alternative to wood. It serves as an even better soil amendment than a standard mulch due to the fact that we source local leaves and shake and stir the compost over several months to boost its nutritional value. 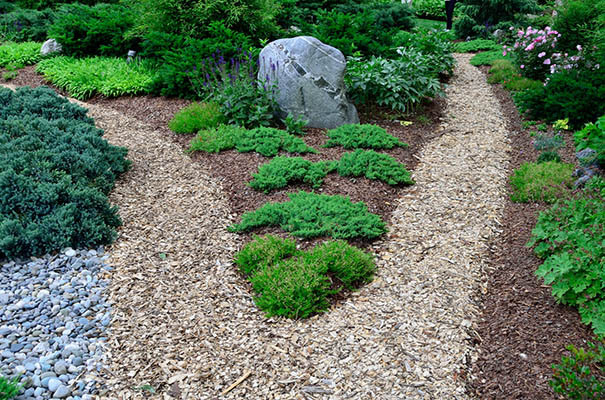 In addition, cedar mulch gives you great flexibility for several seasons. It decomposes slowly, so it makes an excellent base. Plus, it gives off an aroma that some insect pests find repellent. Last, we sell finely shredded playground mulch landscaping supplies. You want to put something soft under kids climbing tall structures and swinging on monkey bars. Our carpet mulch and wood chips give you peace of mind that you’ve given them a smooth landing if they fall. We sell native topsoil, compost, organic topsoil and Orgro for FAST, FREE DELIVERY to your driveway in Northern Virginia and Maryland. 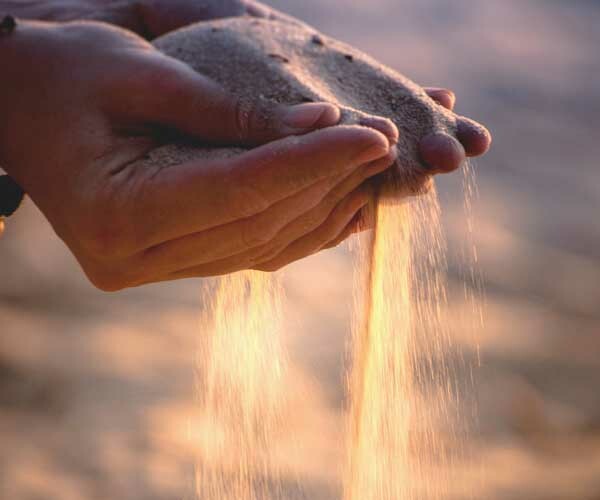 Our topsoils are lab-tested for pH balance and acidity. The best uses for our native topsoil include grading, stabilization and filling in depressions. Our organic topsoil mixes compost and native topsoil in about a 1:1 ratio. Hence, the organic topsoil will give your soil a shot in the arm with organic matter that your plants need. You can use it in gardens, flowerbeds or to supercharge your lawn. Our compost is packed full of nutrients and organic matter as well, so it’s already excellent to fertilize your lawns, gardens and flowerbeds. But it also makes a great “starter kit” for homeowners looking to begin their own compost pile! Compost helps your soil keep moisture and relieves compaction. We also sell Orgro, the best soil enhancer you can get with tons of organic matter and nitrogen. It will reduce soil compaction AND aid in plant growth. It’s a product of the Baltimore waste treatment plant, so we don’t recommend it for vegetable gardens. Our organic topsoil mixes compost and native topsoil in about a 1:1 ratio. 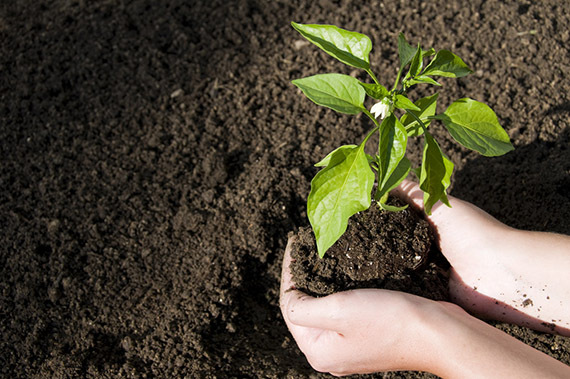 The organic topsoil will give your soil a shot in the arm with organic matter that your plants need. You can use it in gardens, flowerbeds or to supercharge your lawn. Our compost is packed full of nutrients and organic matter, so it’s already excellent to fertilize your lawns, gardens and flowerbeds. But it also makes a great “starter kit” for homeowners looking to begin their own compost pile! Compost helps your soil keep moisture and relieves compaction. We sell perfectly seasoned firewood ready for your hearth at prices you have to see to believe! And of course, you can get FREE DELIVERY to your driveway. We sell full cords, half cords and quarter cords of our Seasoned Mixed Hardwood. The wood is cut to log size (16 to 20 inches on average) and ready for stacking. In fact, we also offer a stacking service. Tell us where to put it within 100 feet of your driveway, and for a fee, our deliverymen will make it happen. We save you the hassle! We also sell Hickory Firewood, for those who need more heat from their fireplaces. 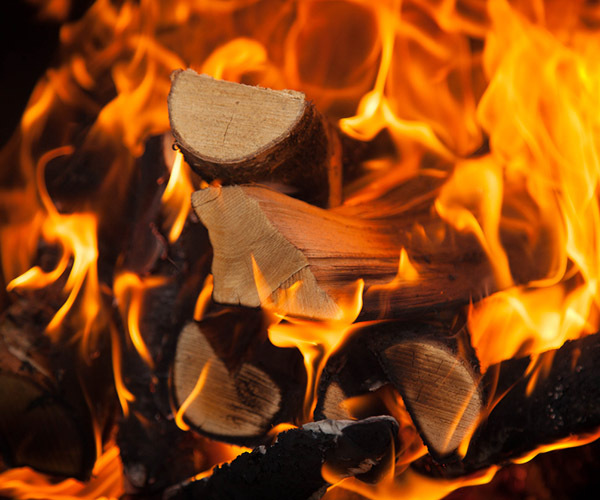 Hickory has a higher BTU value, so it burns hotter in contrast to regular seasoned firewood. 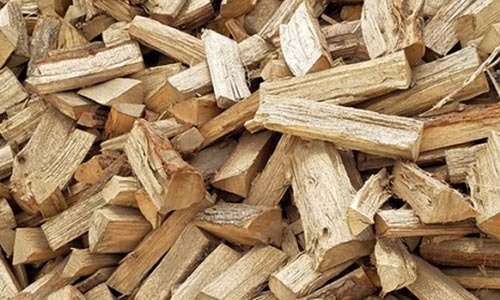 Hickory Firewood is only sold in Virginia, within 20 miles of Chantilly, and only sold by the cord. We sell a wide variety of gravel and stone products, and they excel at everything from decorative landscaping to erosion control. And we deliver it FREE to your driveway! 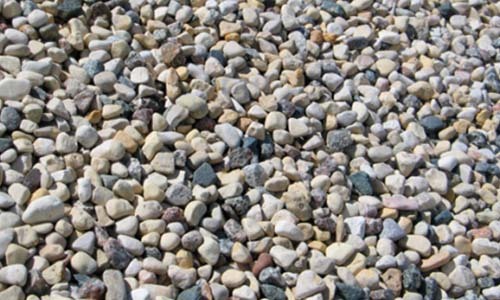 Which is perfect, because you can use our gravel landscaping supplies to build your driveway. Our 57 bluestone and Gray 21-A will stand up to heavy traffic without shifting, and both drain well. If drainage is a concern, our 2-inch River Wash or Small River Jack help a landscape slough off its extra moisture while looking like a decorative feature. It’s the best of both worlds! However, If you want a no-maintenance alternative to mulching your flowerbed, our 57 Red Brick Colored Stone keeps weeds down, looks great and retains heat to encourage growth. Have an erosion problem? We can help with our heavy Gabion Stones and Surge Gray Stones. They’ll keep your soil in place. Finally, we also sell gravel fit for bedding, mud control and pathways. Check out our Gravel & Stone page to see the many options! 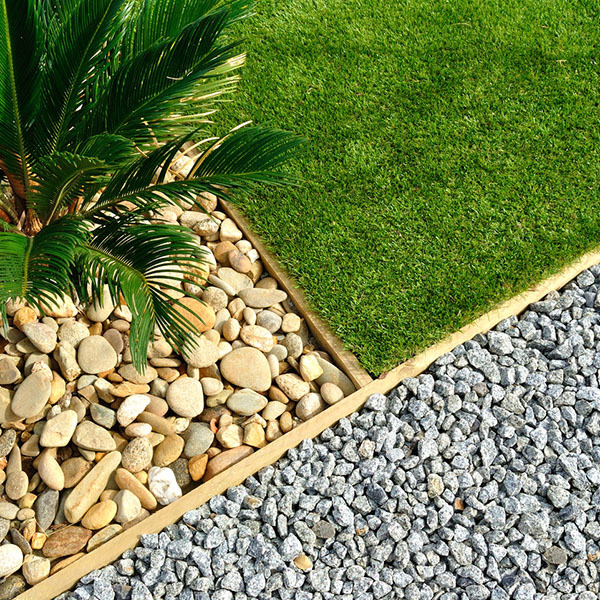 We sell a wide variety of gravel and stone products, and they excel at everything from decorative landscaping to erosion control. And we deliver it FREE to your driveway! Which is perfect, because you can use our gravel to build your driveway. Our 57 bluestone and Gray 21-A will stand up to heavy traffic without shifting, and both drain well. If you want a no-maintenance alternative to mulching your flowerbed, our 57 Red Brick Colored Stone keeps weeds down, looks great and retains heat to encourage growth. 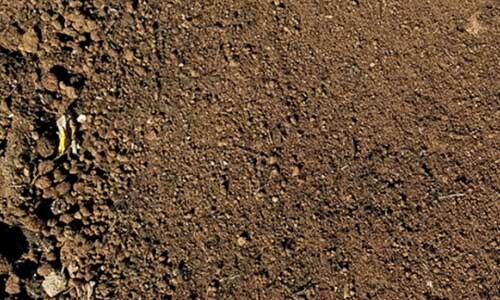 We also sell gravel fit for bedding, mud control and pathways. Check out our Gravel & Stone page to see the many options! If you need to fill in a sandbox or volleyball pit, we’ve got you covered. Our White Play Sand is great for bunkers or creating beach-like atmospheres. If you need bedding material for pavers or pools, our Washed Concrete Sand fits the bill. 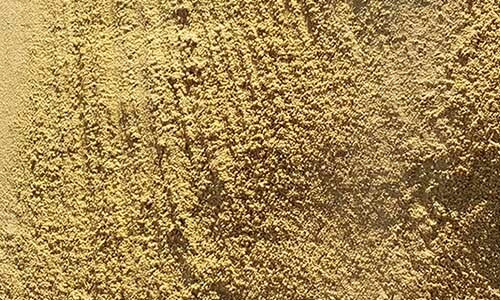 In addition, we also sell Masonry Sand. Give us a call, and we’ll deliver it to your driveway for FREE.